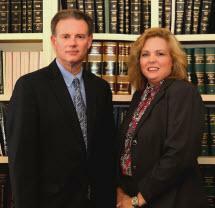 Founded in 1985, The Mims Firm, P.C. has been successful in helping individuals and corporations tackle multiple legal matters. Our attorneys act not only as legal counsel, but problem solvers. We are experienced legal counsel and zealous advocates with proven track record as problem solvers. We can help you or your company solve legal matters - no matter how big or small. To handle all cases with professionalism, integrity and compassion for you, the client. S J & L, Inc.